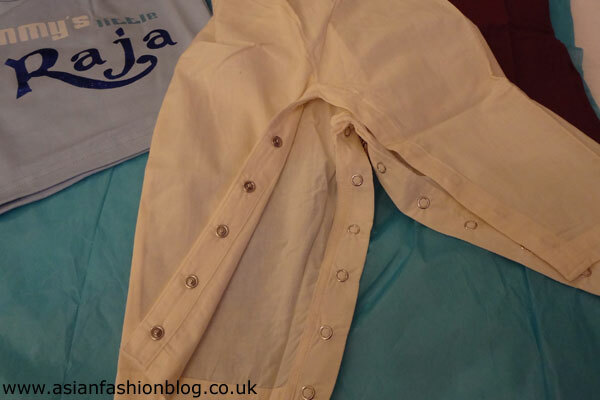 Childrenswear isn't something I tend to write about a lot here on asian fashion blog, but since becoming an aunty again at the end of last year it's something that's back on my radar. 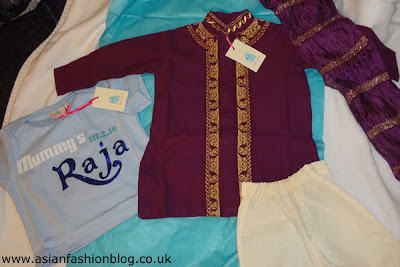 So when I received an email about an online Indian babywear company called Ruby Rani, I jumped at the chance to review their products. 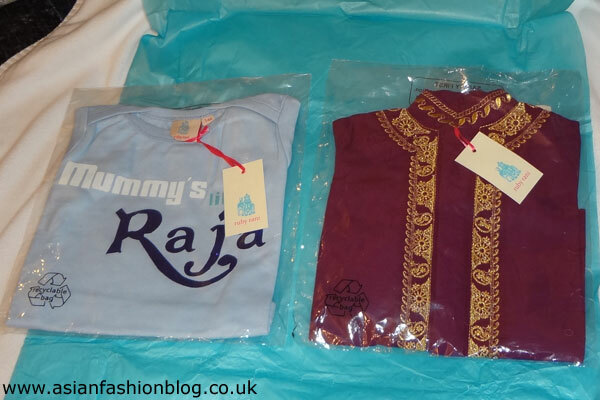 Ruby Rani was founded by Kit Bhatti, who after having her baby struggled to find suitable indian-style outfits for her daughter. One of her key objectives when setting up the company was to make outfits that were comfortable - I can totally relate to this, some asian outfits even I find uncomfortable to wear (despite how pretty they look) so imagine how babies, with their delicate skin, feel in them! The product range at Ruby Rani, includes slogan tshirts, churidar outfits for the girls and kurta/sherwani-style outfits for the boys. I picked out the "Rohan Kurta Suit", a t-shirt and waited for my package to arrive! I was really happy with the way these garments looked and felt in person. You can't always tell when buying something online but these items were true to the website images and felt good quality to me. 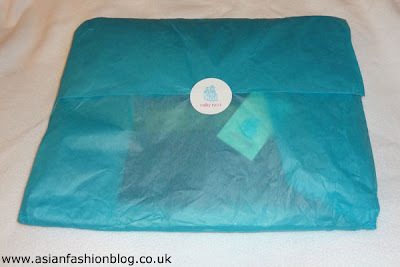 From my personal experiences of attempting to dress a baby I can tell you it's not always an easy task! The outfits in the Ruby Rani range have plenty of buttons so that they're easy to get on and easy to change nappies with. You can view the full range of outfits on the Ruby Rani website, prices range from £12 for the tshirts to £35 for the girls churidar-style outfits and boys kurta suits. However all prices have been discounted this month so if you buy before 1st February 2012 you can make a saving - there's also free UK delivery available at the moment too! My nephew hasn't had a chance to wear his outfit yet - waiting for him to hit the 3-month mark before he will fit into the t-shirt, and he should be the right size to fit into the kurta outfit for the summer wedding season. I'm sure he will work the look and more importantly, feel comfortable in it too!